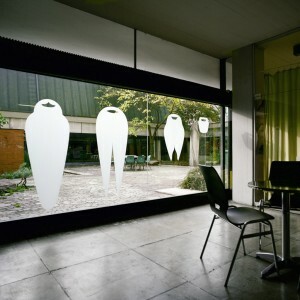 The piece Les Barbus by artist collective Zorro & Bernardo, formed by Andrea Lapzeson and Donatella Bernardi, proposed a transparent motif of four facial beards, glued onto the glass wall at the Farel House in Bienne, for Utopics, the 11th Exhibition of Swiss Sculpture. The artists referred to the context of the exhibition, which takes place in a building that is currently occupied by Bienne’s Reformed Church. The beards are shaped characteristically for the four famous Swiss reformers: Jean Calvin, Théodore de Bèze, Guillaume Farel and Pierre Viret. The motifs can be seen as symbols of a patriarchic institution that make the viewer question the role of these structures today and our relation towards them. Les Barbus is a playful and associative proposal for a re-reading of history. One can consider empowerment as linked to the history of feminism or even as its implementation or enforcement. Indeed, it is not just a question of only having access to authoritative texts—biblical or legal texts for instance; one still needs to understand, interpret and finally be in a position to use them according to one’s convictions. Swiss women came to face this challenge only in 1971, once the people, that is to say men, granted them eligibility and the right to vote. 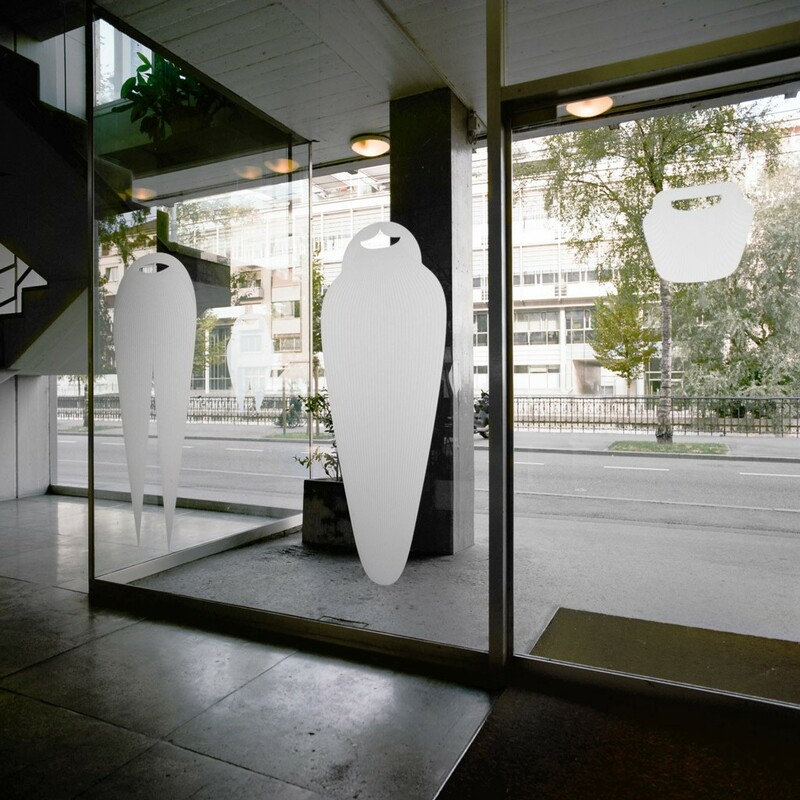 Donatella Bernardi for “Utopics, Systems and Landmarks” (Zürich, JRP|Ringier, 2009, pp. 148-149). Translated from French by Patrick Morency and Fanny Benichou. Installation photos by Annick Wetter.